Make the most of family car trips by powering your device with the most powerful Multi-port USB Car Charger Ever. 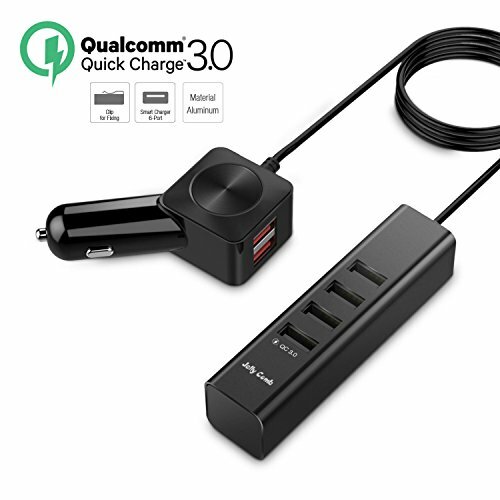 Conveniently charge Apple, Android and Windows smartphones, iPad, tablets, as well as other USB devices. Car Charger adapter provides plenty of power to charge 6 devices simultaneously at their full speed. The exclusive Jelly Comb Smart Identification technology recognizes your device and distribute the maximum charging current possible. The Jelly Comb 6 Port Car Charger is designed with Over-Current, Overvoltage, Short-Circuit and Temperature Protection as your safety is our priority.